Having reached Haworth from the Keighley direction, follow the Main Street 'bypass' to the top, bearing left into Mytholmes Lane then right into West Lane. Ahead on the left you will see The Sun Inn. 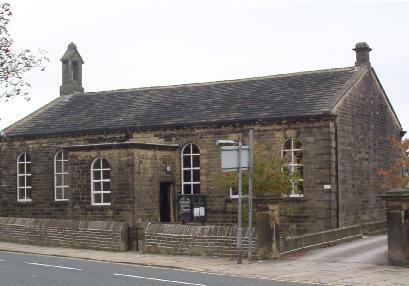 The Methodist Chapel is opposite, alongside the Baptist Church. Park in the church yard. 4th Sunday of each month: United Service at West Lane Baptist Church.